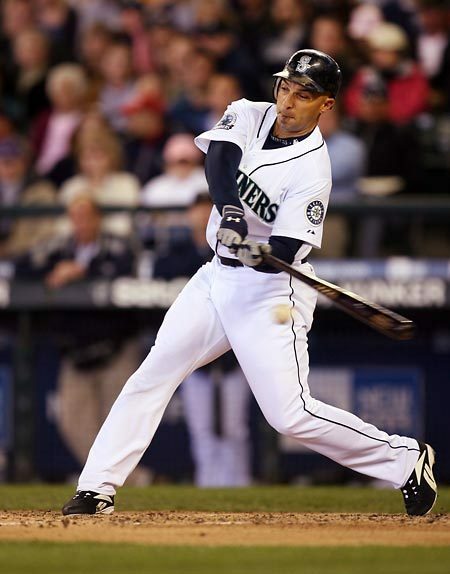 Raul Ibanez is having a career year, having already hit 21 home runs and driven in 58 runs. Over his career, Ibanez has averaged 23 homers a year and yet this year he has almost hit that many in less than sixty games. Add to the fact that Ibanez is 37 years old, and something seems a little off here. This is what another blogger, JROD, looked in to in his article The Curious Case of Raul Ibanez: Steroid Speculation Perhaps Unfair, but Great Start in 2009 Raising Eyebrows. JROD examined Ibanez’s year to the finest detail. He looked at the ballparks in which Ibanez homered in and examined their “HR Factors”. He looked at the dimensions of his new home ballpark since he signed this year with the Phillies in the offseason. He looked at the pitchers that Ibanez had homered off of, checking to see if Ibanez had just seen a lot of bad pitchers early on in the season. As he went through these stats though, nothing stuck out as that out of the ordinary. Certainly there was nothing that would explain the increase Ibanez’s home run rate from a homer every 23.9 plate appearances (2006-2008) to a homer every 12.1 plate appearances. At the end of this specific, well-researched article, JROD threw out one possible explanation for Ibanez’s dramatic increase in home runs: Steroids. He did not claim that he had any first-hand knowledge that the Phillies’ outfielder was on the juice, but he just said that you cannot ignore that it is a possibility. Unfortunately, baseball has reached the point where great starts like this are not something to be in awe of, but something to be suspicious of. JROD never said that Ibanez used steroids, he just said, “it would be foolish to dismiss the possibility that “other” performance enhancers could be part of the equation”. Ibanez heard about this article though and fired back angrily at someone questioning his stats. “You can have my urine, my hair, my blood, my stool — anything you can test. I’ll give you back every dime I’ve ever made,” Ibanez said. He lashed out at JROD calling his article “cowardly” and saying, “there should be mo re credibility than some 42-year-old blogger typing in his mother’s basement”. Harsh words, but this is exactly what baseball needs. JROD had every right to write his article and investigate Ibanez’s season. Baseball is now guilty until proven innocent. JROD tried to find a way to prove Ibanez innocent. He searched through all sorts of statistics, but came up with nothing so he tossed out one logical explanation. Ibanez rightfully took huge offense to this allegation. Baseball has been waiting for someone not just to deny steroid use, but to go on the attack against their accusers. Well Ibanez attacked immediately. He fought JROD’s article and said everything that one would expect an innocent player accused of cheating to say. Of course, maybe he learned from other player’s failures. Either way, we likely won’t know whether Ibanez is on steroids (I don’t think he is), but what we do know is that baseball has finally reached the point where players will respond emotionally to any accusations. This wasn’t a big-time ESPN writer. This was some random blogger and yet Ibanez still challenged JROD like he was Peter Gammons. Good for you Raul. Defend yourself. That is what people and the media want players to do. We have seen so many legendary players taken down by steroids the last couple of years and those players may deny steroid use, but they almost never lash out against their accusers, because in the end, those accusers are telling the truth. By attacking JROD though, you sent the message that you were telling the truth. Being honest is something baseball is in huge need of and you seemed to have delivered the perfect medicine.